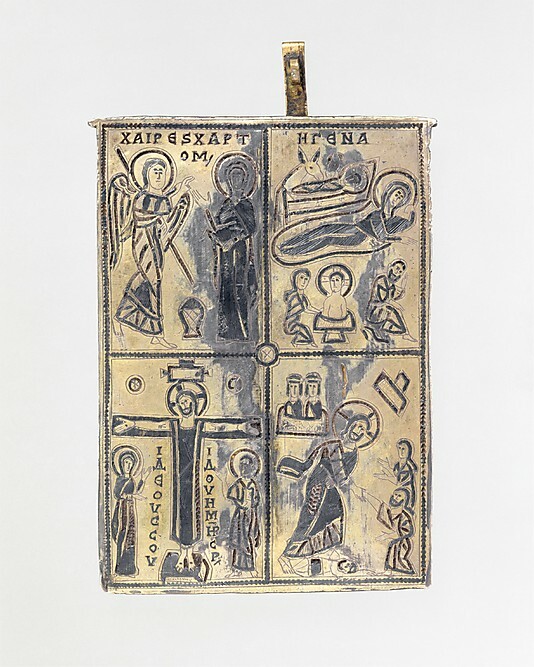 Sedef's Corner: Byzantine Pilgrimage Objects - Phenomenon of Sacred Artifacts or Contemporary Reality? Byzantine Pilgrimage Objects - Phenomenon of Sacred Artifacts or Contemporary Reality? As fascinating as we may find a slab of stone, an object or a painting from the past, these objects we study as art historians or archaeologists may seem irrelevant or even trivial to someone with no connection to the specific culture. 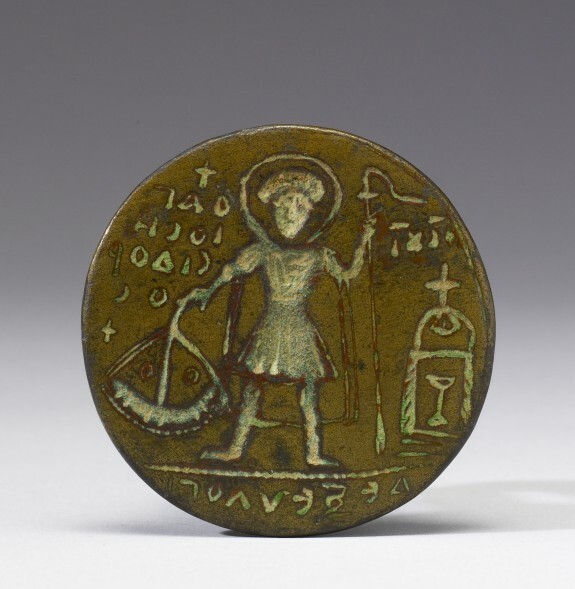 While we can wax lyrical about the iconography or the theories related to a work of art, to someone with no knowledge, interest or cultural memory of the object of our admiration, these might sound like peculiar ramblings. Being able to engage with a work of art on a personal level, however, can have the ability to change one's perception of the significance of these artifacts. 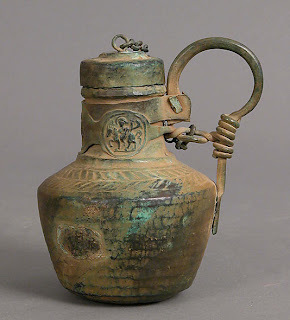 But, since the vast majority of artifacts remaining from the past represent the lives and concerns of the privileged classes, this can be cause for further impediment to this engagement. 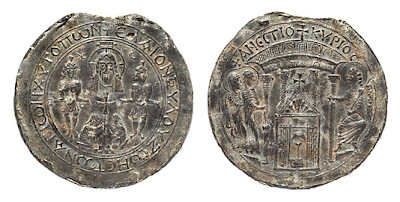 Ironically, while studying Byzantine pilgrimage objects, I have come to consider the phenomenon of early Christian pilgrimage objects, as an occurrence that has the potential to transcend centuries and reach the souls of a vast audience of people no matter what their religious affiliations or cultural background. 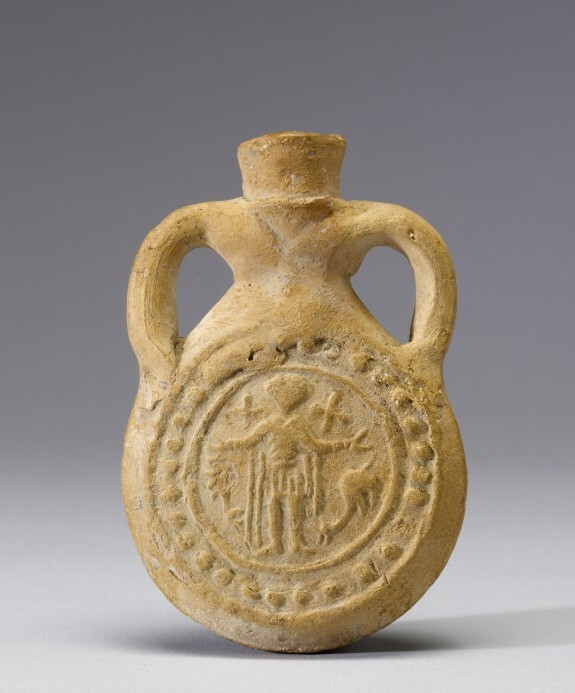 Pilgrim Flask of Saint Menas, 6th c.
Pilgrim Stamp of Saint Isidore, 6th c.
We are afforded a real look at the pilgrim's experience with the Church of the Holy Sepulchre in this ampulla. The representation of the grill work on the doors and the columns and the other architectural details were confirmed from traveler's accounts as being true as well. 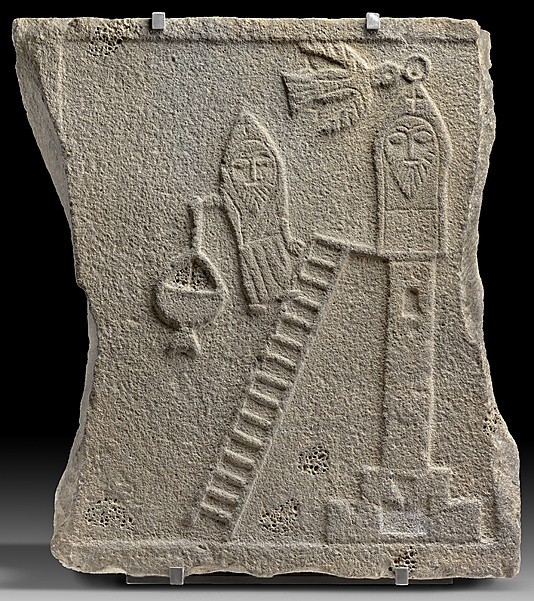 Relief of a Stylite Saint, 5th-6th c.
Of all the pilgrimage sites and holy figures from Christian pilgrimage, the most fascinating have to be the Stylite Saints who lived on top of columns as a form of asceticism. Symeon Stylites the Elder (389-459) was the first of the stylites who after being dismissed from several monasteries due to his extreme forms of devotion tried to disassociate himself from society and finally moved to the top of a pillar, where he lived for thirty-seven years. After his death a great complex was erected enclosing his pillar at Qal'at Sem'an (See photo above), near Aleppo. The other famous pilgrimage site was Wondrous Mountain where Symeon Stylites the Younger (521-562) had lived and established the monastery around his column himself. 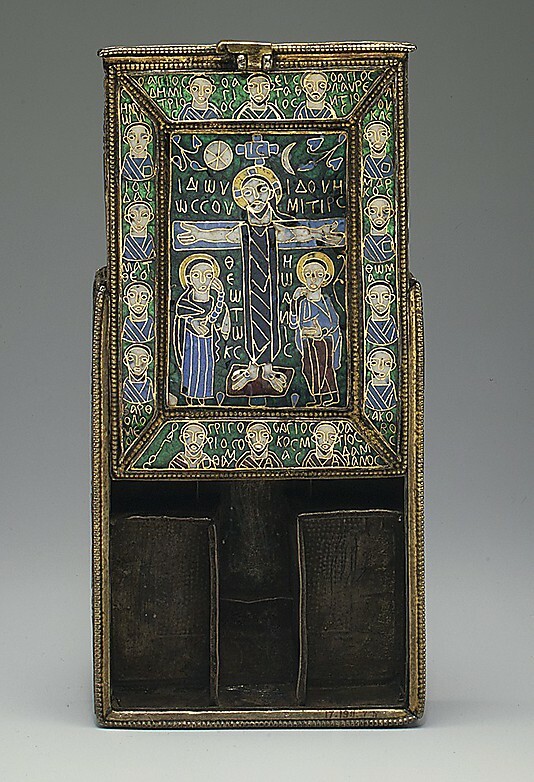 People came to the stylite saints not only for prayers but also to settle disputes and for working miracles, healing. Jug with Medallions, 6th - 8th c.
This jug which was probably used to carry water is decorated with medallions with the image of the rider wrapping around its neck. 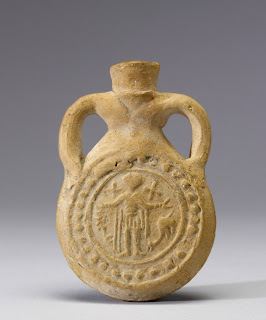 The image of the mounted rider was associated with the Holy rider and is thought to ward away evil used for protection for the way home.7 It was at the point of contemplating this jug that the reality of the human being who needed this protection became a reality for me. Maybe it was a personal response because of the current circumstances of being away from my children while they were in danger due to hurricane Sandy that swept thorough the East Coast of the United States. All I know is that at that point, if there was a jug, a token, an ampulla, anything that had a protective connotation I would have wanted them to have it and if it had been sanctified through contact with a holy person that would have been all the better. 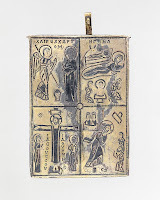 So, now when I look at pilgrimage objects, I cannot take a distant, objective approach classifying them just as objects with iconographies that relate Christian imagery from fifteen centuries ago - they are very real reminders of the people that once lived thought, felt and pursued salvation, healing and protection. Hmmm . . . I lost my comment -- probably just as well, because it was way too long! To summarize, lovely post! Now, when travel is relatively easy, I think we can forget how difficult, and expensive, and time-consuming it used to be. 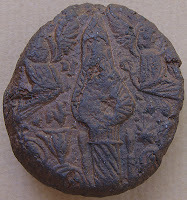 Obtaining something protective both for the journey and for loved ones at home must have been a salve for the pilgrim. So glad that your family is ok! 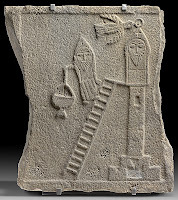 And I didn't realize that the stylite saints were real. I don't want to be disrespectful, but I don't know whether to laugh or cry! The relief that you show is absolutely gorgeous -- another reason to go to Berlin! 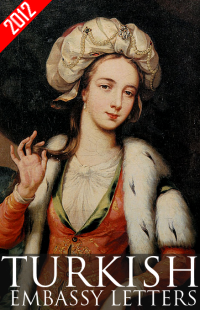 And I'm in love with the first image from the Fieschi Morgan Staurotheke -- another reason to go to NY, too! Thanks for putting these art objects back into context -- connecting them to their culture is, in my opinion, what makes them interesting. I have to agree, the Stylite Saints are totally outrageous in their practices but they actually served a very unique purpose within a community - that of the outsider (with miraculous tendencies, of course) who could intercede on the behalf of the people in disputes that even involved officials or the emperor but I recommend Peter Brown's fascinating article The Rise and Function of the Holy Man in Late Antiquity (http://faculty.washington.edu/brownj9/LifeoftheProphet/The%20Rise%20of%20the%20Holy%20Man%20-%20Brown.pdf)to garner a better understanding. You know there was even one in Istanbul by the Bosphorus. I am glad you enjoyed the post. Thanks for the comment.